Even bees are buzzing about it! to freeform expression in beads! Working with color is exhilarating! And what better way to play with color than in making bead soups and incorporating them in freeform beadweaving projects? Just as a painter mixes different pigments on her palette, you will learn how to make bead soups with depth and movement. 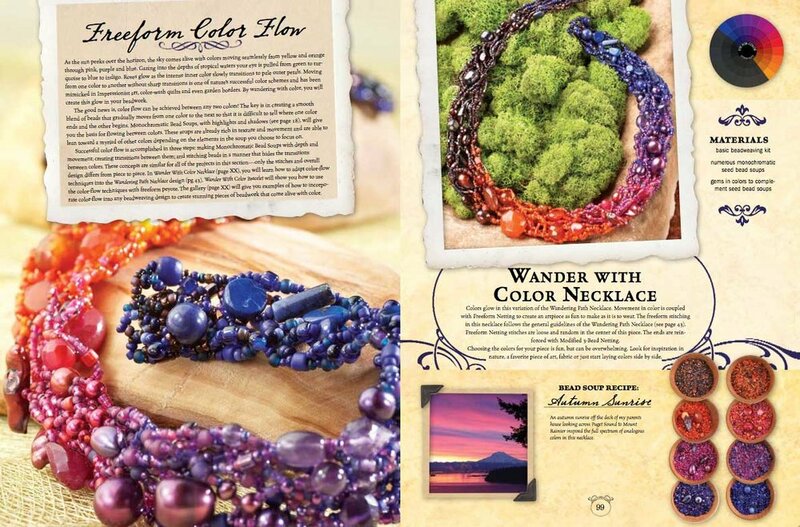 I will show you how I go from color inspirations to defining the color relationship using the color wheels and templates included in the back of the book, to creating a palette of beads. 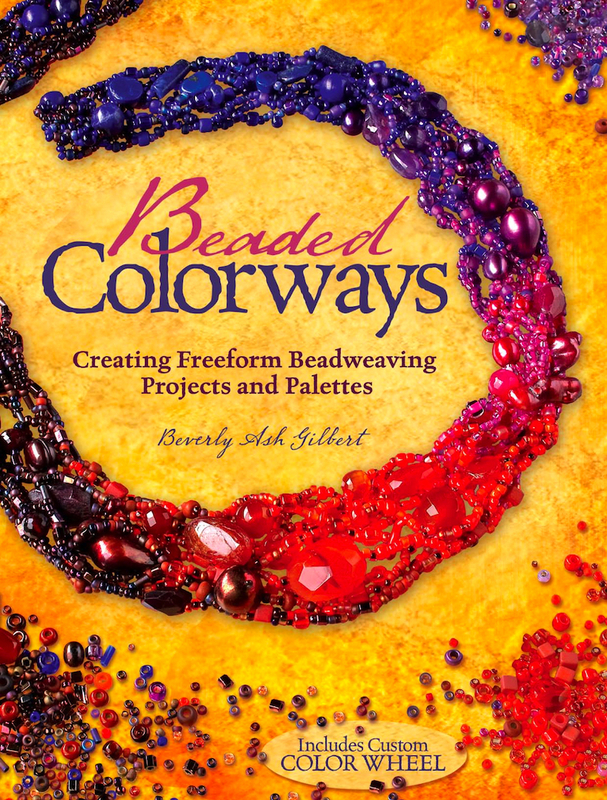 The numerous freeform projects in Beaded Colorways will give you countless ways to use these beautiful mixes including color flow techniques that will show you how to seamlessly blend from one color to the next. Full of insights and techniques in working with color for you to gain color confidence. It even includes mini color wheels to help you enhance your color palettes! Follow along from inspiration, to color wheel relationship, to creating bead soups with depth and movement. 18 step-by-step freeform beadweaving projects that are sectioned into techniques that build on each other. By the end, you'll feel like throwing out all of the rules and begin designing your very own freeform works of art!